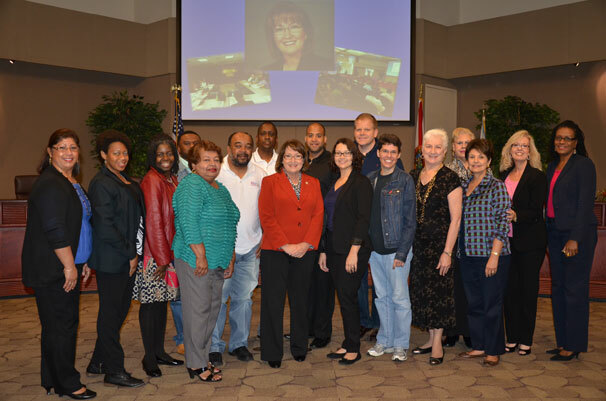 Orange County, Fla. – Citizen engagement is critically important to Orange County and Mayor Teresa Jacobs. Not only is it vital that our citizens be involved in order to remain engaged, but every chance for citizen involvement also results in feedback and input. In order to foster this involvement, Orange County created the Orange County Experience. On Friday, the program’s registered participants graduated from this exciting 11-week citizen engagement program. For the second consecutive year, the Orange County Experience offered interested citizens an opportunity to better understand Orange County Government. The second graduating class concluded the program with a better understanding of how Orange County Government works with citizens, visitors, and businesses. The program provides a look at the nuts-and-bolts operations throughout the County, including wastewater facility operations; a behind-the-scenes tour of the facilities of the world-famous reality television series “Dr. G: Medical Examiner;” a “Day in the Life” of our Fire and Rescue personnel and more. The 2014 Orange County experience included 26 registered participants, each of whom left with a better understanding of how Orange County Government works with our community. Registration for the next class begins in the fall and information will be posted on Orange County’s website, www.ocfl.net. A variety of photos from the graduation are available for use by the media and are located on Flickr.